"I'll have to wait and see whether, after I sit down on the couch, I can get back up again," Alfred Finnbogason had joked after his goalscoring comeback on Matchday 31. After missing Augsburg's ten previous league games with a calf injury, the explanation for his sunshine mood was simple. The Iceland international did not just make a difference, but in fact made all the difference as Augsburg defeated Mainz, ending a four-game winless run and — most significantly — secured Bundesliga football for another season. Stiff limbs or not, Finnbogason surely deserves a lengthy spell lounging out in his living room. The 29-year-old certainly seems to feel at home in Augsburg where he has developed into the central piece in Manuel Baum's set-up. In eighth place, three points off sixth and just six off second when their premier marksman was sidelined after Matchday 20, Baum's men picked up only nine points in the ten games he missed, failing to score in five of them. Statistics don't always tell the whole story, but those numbers certainly suggest another: what might have been had Finnbogason not been sidelined? The ambitions of a serious tilt at a top-six finish and a UEFA Europa League place next season were bound up in the striker's feet with Finnbogason refinding the refined nose for goal he had shown as a youngster alongside the likes of Werder Bremen's USA international Aron Johannsson, Everton's Gylfi Sigurdsson and Burnley's Johann Berg Gudmundsson at the renowned Breidablik club. 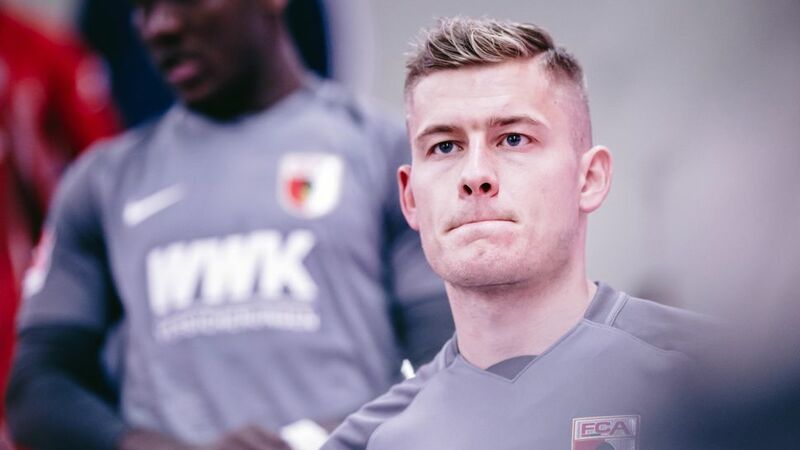 With top-flight survival assured and his partnership with Gregoritsch leaving Augsburg fans drooling at the prospect of better to come in 2018/19, Finnbogason's attentions can now be turned to regaining full fitness. He will be able to hone his shape and finishing skills in Augsburg's remaining four Bundesliga matches with the aim of reaching peak condition in time to play a central role in Iceland's first-ever FIFA World Cup campaign. "You go to the World Cup with quite a different feeling if you have been able to play a few games," he explained after helping see off Mainz. "As an Icelandic player, you have maybe one chance to play at a World Cup, it's our first chance. I want to come into the tournament in the best possible shape and be a big part of the team."